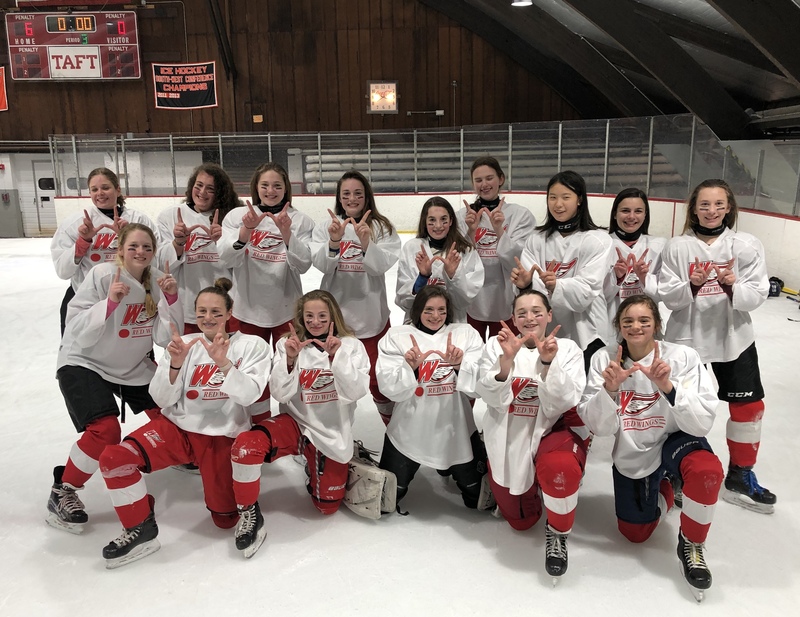 This past year Watertown Youth Hockey entered two recreational hockey teams in the Connecticut Girls Hockey League (CGHL). The CGHL hosts teams from throughout the state giving girls the opportunity to play girls hockey in a fun evironment through the U19 level. Last year, we entered teams at the U14 & U10 levels with the CGHL. For the upcoming season, we will enter CGHL teams based upon the number and age of girls who participate in our evaluations. One of the great parts about the CGHL is that they allow “age blending” to ensure competitive teams are entered. Lastly, given that the CGHL is “recreational hockey”, it allows Girls playing with other organizations on Boys/Co-ed teams, to still be able to play hockey on a girl’s only team. For information on joining a Watertown Youth Hockey Girls team for the 2019-2020 season, please email .